A lot of toilet back ups are from having a toilet that does not work properly. I have been to customers houses, and the main toilet’s sewer line has been giving them a problem. 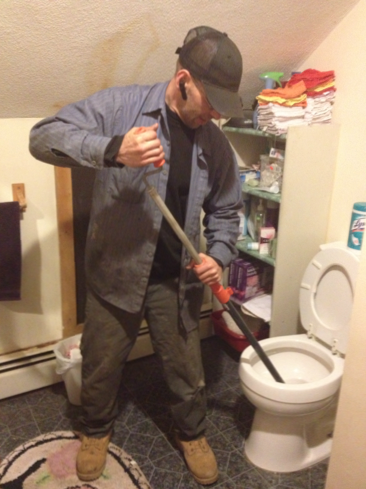 A company has helped them rooter the sewer line, but reinstalled the original toilet. So of course the problem occurred again, and they repeated the process. Each time reinstalling the original toilet. The problem really is not the sewer line it is the toilet itself. If the toilet is old or has already been altered from the factory settings it is probably not flushing properly. Here at United Sewer & Drain we would recommend installing a new toilet to solve this drain issue. United Sewer & Drain can help with any toilet issue you may have.